New homes are currently under construction at Oak Bluff on Green Mountain, a new, private and secluded residential subdivision near the south end of Green Mountain. Additionally, large (1+ Acre) wooded homesites with beautiful bluff views are available for custom home development. Here are some representative homes that have just completed construction at Oak Bluff. 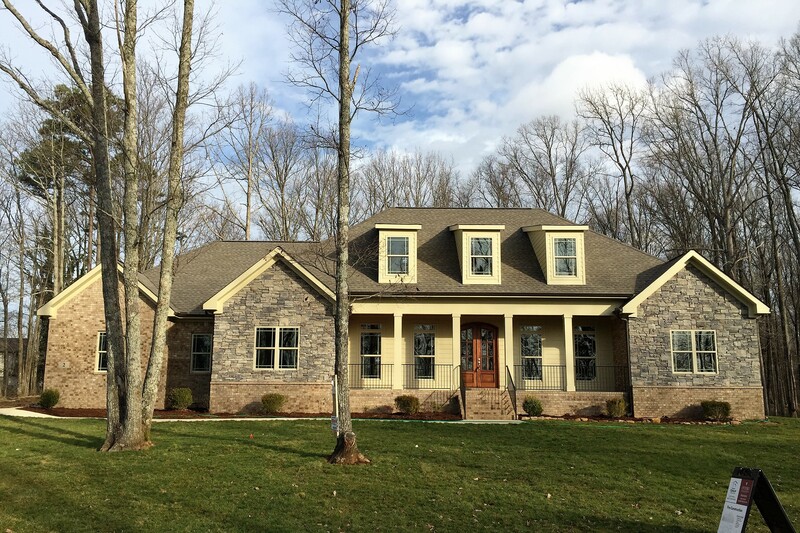 The custom homes shown here on large, quiet wooded lots in the new Oak Bluff subdivision have been sold. However more new homes are currently under construction on South Bluff Trail and several large wooded lots with spectacular views of the valley are available for purchase and immediate new home construction. See pictures and plans of new custom homes and building lots available at Oak Bluff here.